I rescued a 18 kilogram (39 lb) MTB from the next door neighbour’s hard rubbish and started to cycle the last 5 kilometres into the City, mainly to save on parking fees. I was somewhat larger than I am now and was suffering the midlife malaise/ bruises that life can deliver once you crest 50. I started to enjoy this ‘last 5 kilometres’ more than going to the gym, somehting which I invariably didn’t get round to doing.. The choice was stark: get moving or continue the steady decline/ decay. I chose to get moving and discovered the body can manufacture its own feel good drugs, Serotonin, Dopamine, Norepinephrine and whilst doing a body swerve around the black dog, brought about by having to ride to the car. I started parking further and further from the city and just got more out of the bike each day. I upgraded with a new crank (5 hole/arm) on to which I gaffer taped a 53 tooth front ring and for $40, I was off chasing down guys on plastic fantastic carbon racers. I started to feel better about myself and the world at large, especially after I purchased my first ‘proper’ bike, (the White Bike). 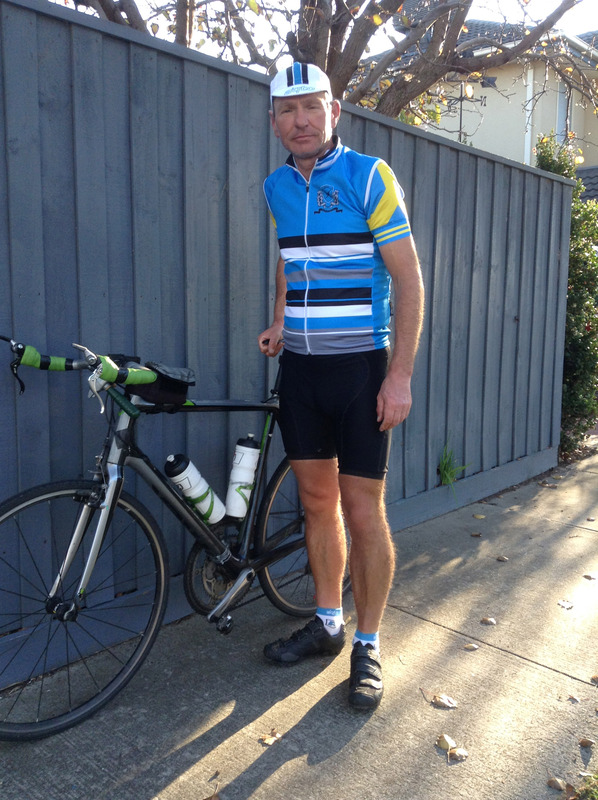 Audax Australia, gave me the focus and direction (despite my ability to get lost on a point to point direct route – a positive during the next year) together with the comradeship and advice, to continue and to (and excuse the pun) pile on the miles. Pushing past your own personal envelope, whether that be a 50 or ,200 kilometre ride, is what matters, not the actual distance achieved.